The perfect party hairstyle to flatter your face: fabulous! Got the dress but still struggling to find the perfect party hairstyle? If you have long facial features, it can be hard to choose the right one amongst all the hairstyles for long faces, as you need it to not only help disguise your physiognomy, but also to make you look like a million dollars. So, if you’re searching for this ideal look, you’re in the right place! 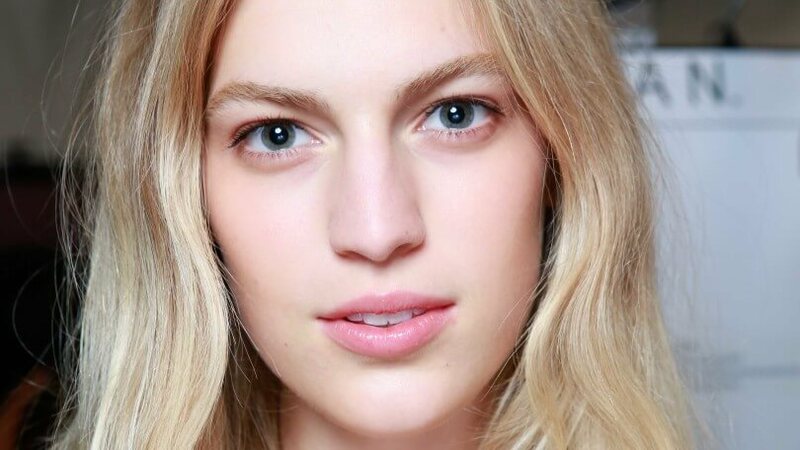 We’ve gathered some of our favourite styles that will allow you to soften and balance out your long facial attributes to create the illusion of a shorter and rounder face. A long face is defined by the following characteristics: an elongated forehead, broad cheekbones, and narrow width, meaning it’s always best to opt for hairstyles that will flatten and make it appear rounder. 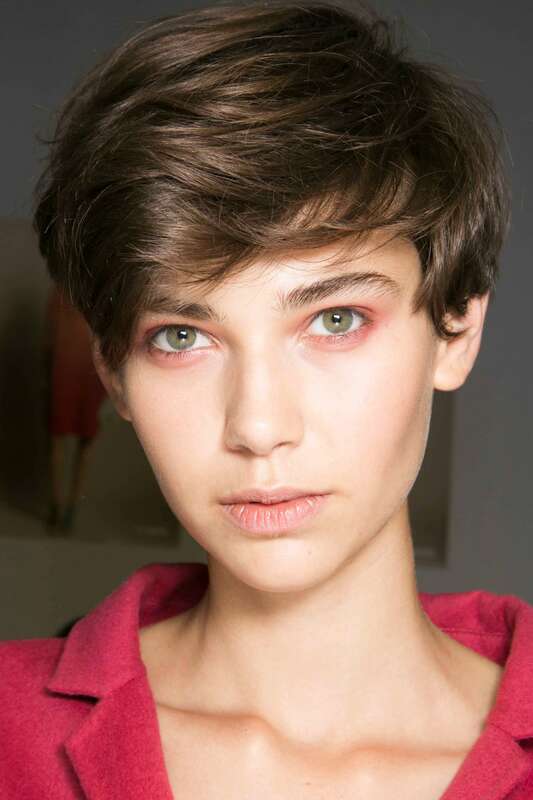 And a messy pixie cut is certainly the perfect option to achieve this! Cool, understated and daring, the cut is ideal to add an edgy dimension to your favourite party looks! And because messy pixies are usually shorter on the sides and longer on the top, you’re free to style it as you please. Just make sure that you don’t give your hair too much height, though, as doing this will only further accentuate the length of your face. 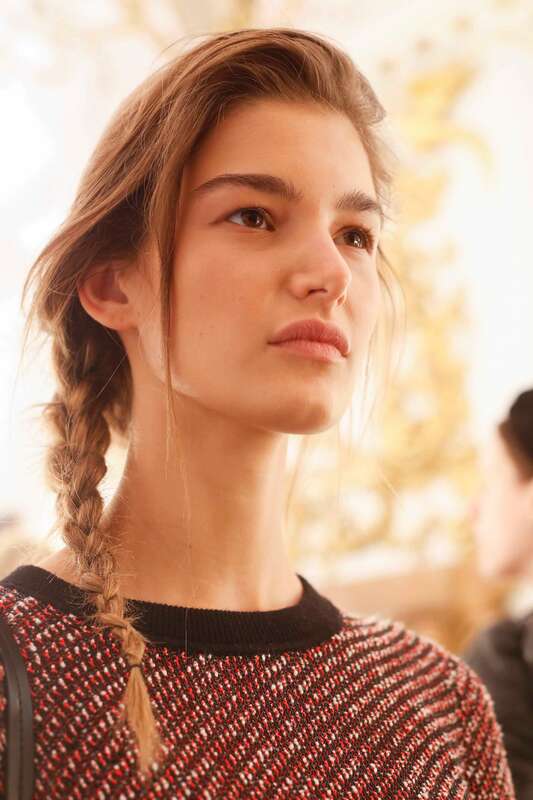 If you want to get the perfect party look, you really can’t go wrong with a side braid! Ultra-glamorous, chic and sophisticated, a plait worn to the side can also help to draw attention away from your long features. And a side-swept fringe is just the perfect addition to increase this effect, giving at the same time another dimension to this party-ready ‘do. Editor’s tip: do you have fine hair? Try misting your locks with the Toni&Guy Casual Sea Salt Texturising Spray (£7.49*), it’ll help give your fine tresses texture and grip, so your braid can look beautiful and stay perfectly in place for longer. When it comes to nailing hairstyles for long faces, the aim of the game is to balance things out. 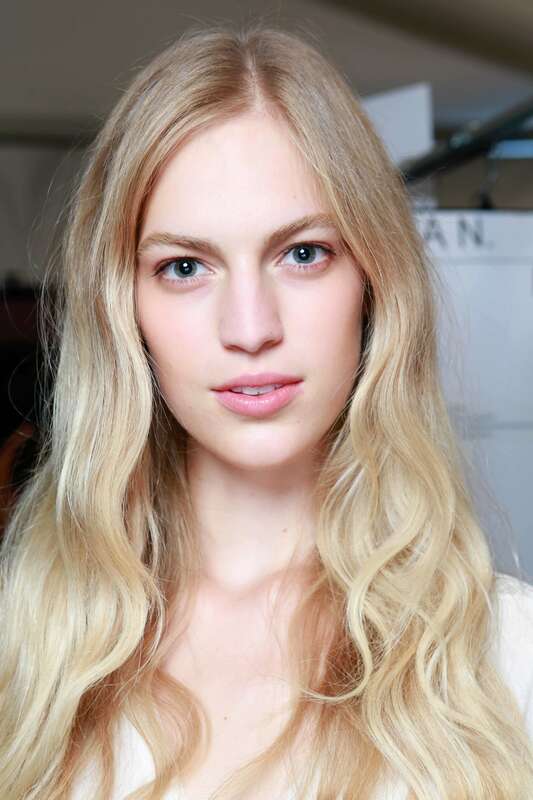 And loose waves are a fail-safe choice that always looks super glam, effortlessly stylish and on-point. Best of all, the style can complement any of your favourite evening ensembles. Editor’s tip: use the VO5 Give Me Texture Tousled Style Spray (£3.99*), it’ll help you achieve texture and perfectly undone, loose waves. Attending a party is a great opportunity to experiment with hairstyles that have different movements and textures! (No one wants to look the same as they do on a daily basis when they can dress to impress, right?). 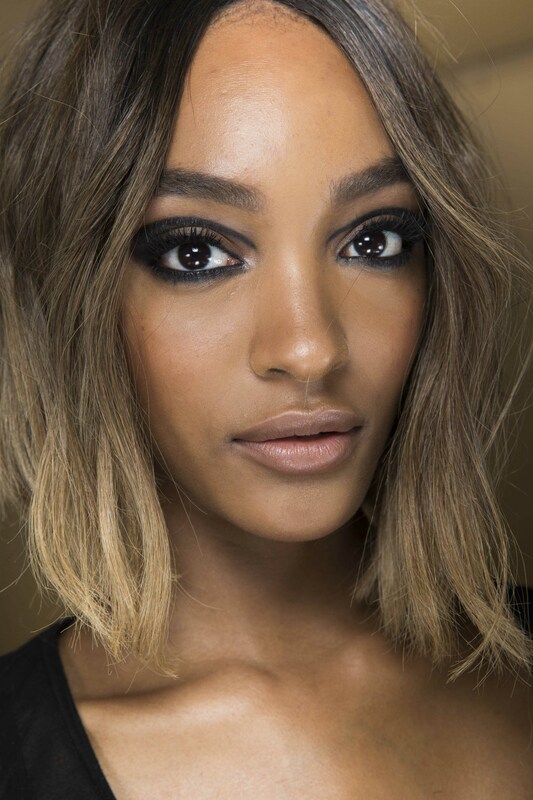 So if you have a long bob and usually wear it straight, why not step out of your comfort zone by adding some volume? Loose waves and layers are great options that will instantly help make your features look rounder! Just remember to always opt for a longer bob rather than a short one as it is renowned for accentuating the length of your face. Sporting a hairstyle that keeps your hair off your face can look just as glamorous as leaving it down. And if you’re looking for a great option that will not highlight your long facial features, a low ponytail is definitely the best choice! 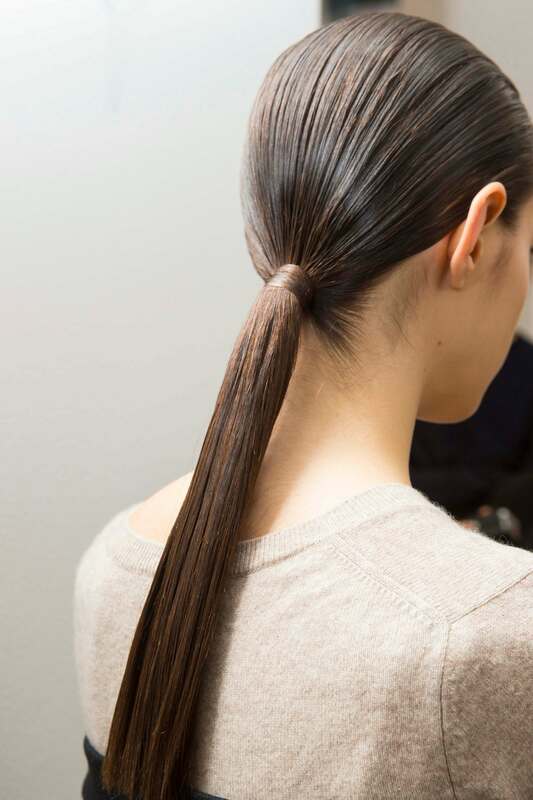 Try the TRESemmé Get Sleek Protect & Polish Duo Mist (£5.50*) for an ultra sleek ‘ponytail. The double-action mist gives your hair heat protection up to 230°C, while also locking in shine, to give your mane a glossy, professional blow-dry finish. So, which one of these hairstyles for long faces is your favourite?